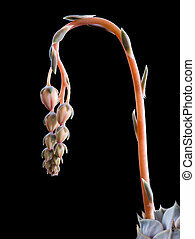 Carrion succulent flower. 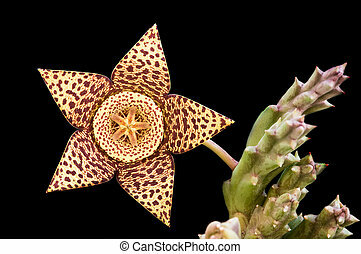 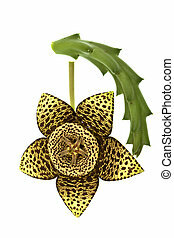 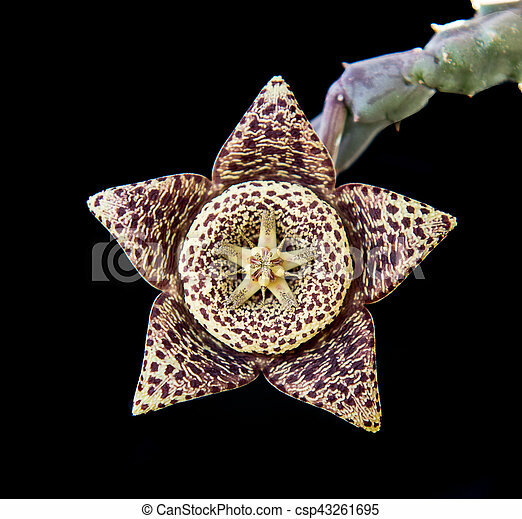 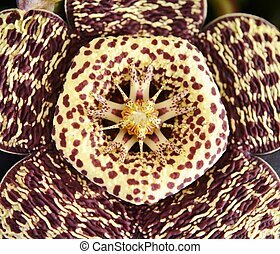 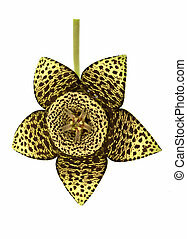 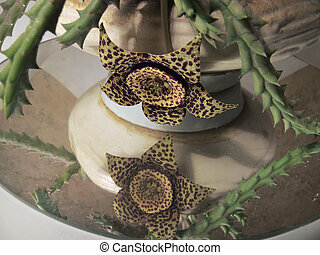 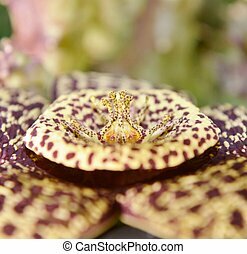 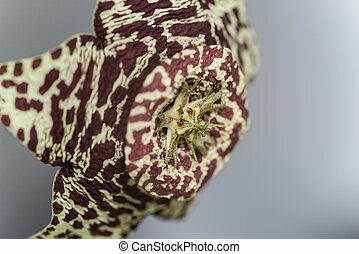 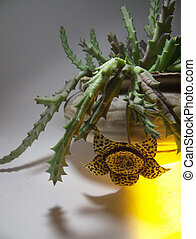 Fresh blooming orbea variegata or carrion flower succulent plant isolated on a black background. 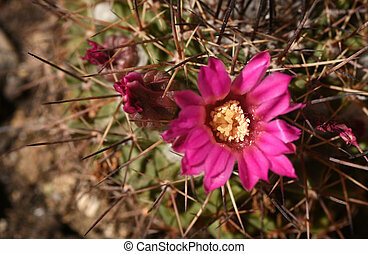 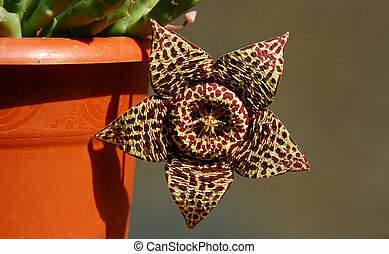 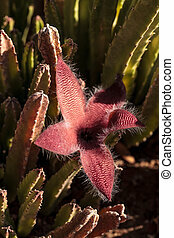 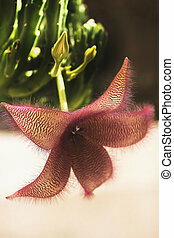 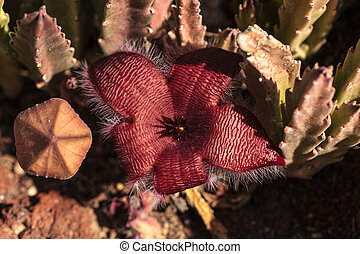 The starfish cactus is also called carrion flower due to the strong unpleasant odor of its flesh like flowers. 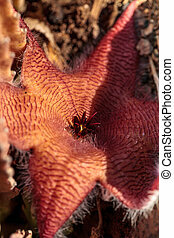 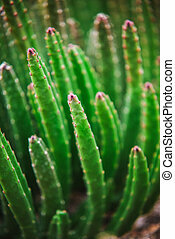 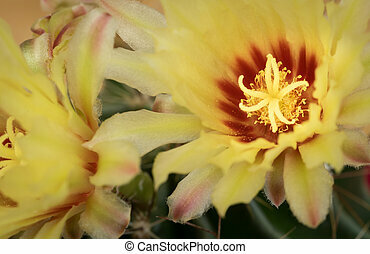 The plant is a succulent from South Africa with starfish-shaped flowers and long, slender, spiked branches. 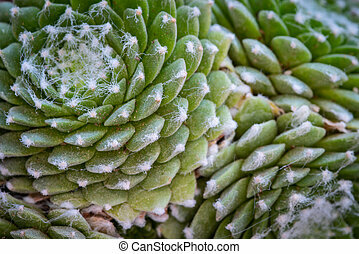 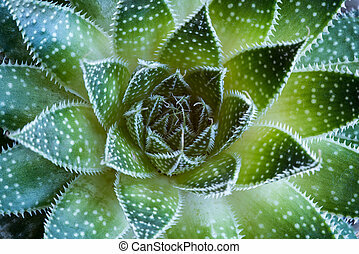 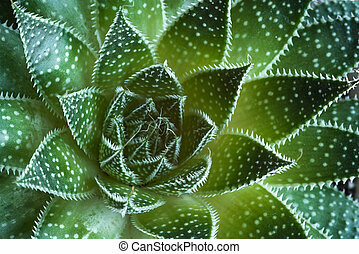 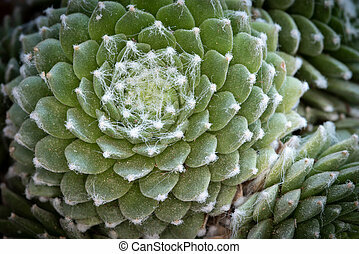 Abstract details of the leaves a green succulent plant forming beautiful textures. 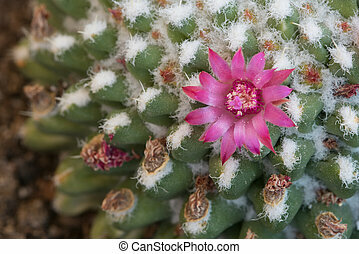 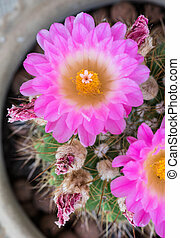 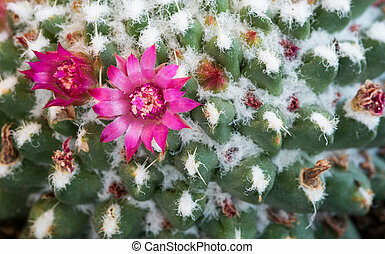 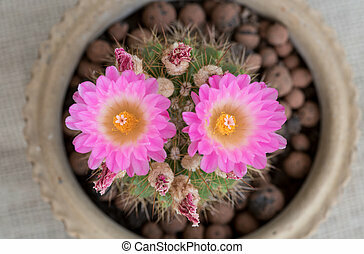 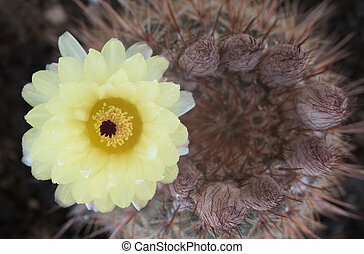 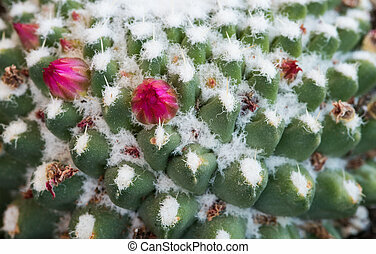 Abstract details of a Mammillaria Geminispina cactus plant with a single light pink flower ready to bloom.